We're gonna do it again! Our TENTH year. Five great bands on the main stage, 4 great acts on the second stage. Music, food, art and fun for the entire family! Missy Raines and her trio return for another big Pumpstock performance. David Luning of California, past performer at Pump House Concerts and a few other quality venues around Michigan, joins Pumpstock as a duo. Jen Sygit & The Dirty Looks will folk your eyes out, hot on the heels of 'It's About Time', Jen's first record release in....well, a long time. Winners of the 2016 WYCE Jammies Folk Contemporary Album of the Year! "Matt Bliton serves up an eclectic blend of styles from folk to rock and blues, even tinges of Irish or jazz. Check out Matt Bliton!" PLUS your favorite local and regional artists on the second stage. 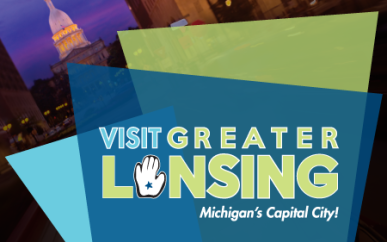 The best local food vendors, Michigan Shirt Works, a playground, children's arts and crafts, a ukulele petting zoo, and more. Glitter tattoos and balloons by Rogo The Clown for kids of all ages. Bring chairs, blankets, your family, and your friends, and your dogs. Outdoors at Bailey Park, 300 Bailey St, East Lansing. $10 suggested donation, pay at the gate (no advance tickets). Kids Free. ALL donations to the artists. Clint's Hotdogs, Cottage Inn Pizza, Blue Owl Coffee, will serve you yummy food all day. From her tenure playing with The Claire Lynch Band, to her 7 International Bluegrass Music Association Bass Player of the Year awards, Missy Raines has proven herself without doubt as an iconic bluegrass instrumentalist. But with her newest release, Royal Traveller, Raines has stepped into the spotlight as a songwriter for the first time. The album digs deep into Raines' family life and her upbringing in West Virginia. The album is a gorgeous look into the perspective, history, and musical influences of one of Nashville's most beloved musicians, Missy Raines. In 1998, Raines became the first woman to win IBMA's Bass Player of the Year award and she went on to win the title more than any other bass player in the history of the organization, male or female. For this special appearance, David will bring Ben Dubin, playing bass & harmonica. John Prine forced David Luning to drop out of college. Not at gunpoint or anything - the two had never even met - but the effect of hearing the songwriting legend's music for the first time had an equally compelling effect on Luning, who was studying film scoring at the Berklee College of Music in Boston at the time. Luning is a man who risked everything to drop out of school and move across the country to pursue a dream. With songs this good, it's a safe bet that a restless soul like David Luning is going to keep on traveling for a long time to come. Olivia has forged a unique path, becoming known alongside her band, the Aquatic Troupe, for their energized, dynamic performances and their gargantuan musical talent. Olivia Mainville & the Aquatic Troupe’s debut album, Maybe the Saddest Thing, released on December 10th, 2015 with a special guest appearance by none other than David Bowie’s bandleader and lead guitarist, Gerry Leonard —their multifarious, enthusiastic delivery is sure to be a hit with listeners everywhere. "Matt Bliton serves up an eclectic blend of styles from folk to rock and blues, even tinges of Irish or jazz. His full throated delivery of covers and originals stir up ghosts of Bob Dylan or Neil Young, but without a touch of imitation. A terrific writer, his lyrics touch, inspire or amuse. Check out Matt Bliton!"